Who doesn’t love bubbles? When it comes to bubble blowing, there’s nothing more fun than trying to make the biggest, fattest bubble possible. Dr. Zigs thinks this, and have the Guinness World Records to prove it. Based in Snowdonia and built on the inspiration a mother drew from her youngest son, Dr Zigs are always trying to make bubble-blowing bigger and better than before. 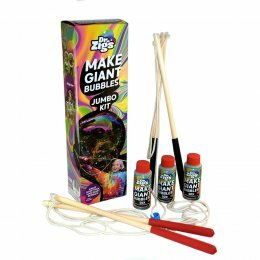 Their bubble-blowing kits are fun for the whole family and easy to use. 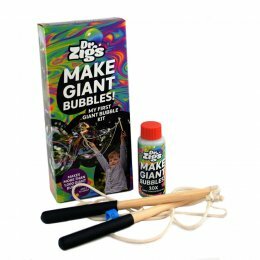 Dr Zigs has their own charity called Bubbles Not Bombs, where they send bubble making kits to children in impoverished, war-torn areas, as well as those affected by environmental tragedies. They also work closely with Peace One Day and Campaign Against The Arms Trade.